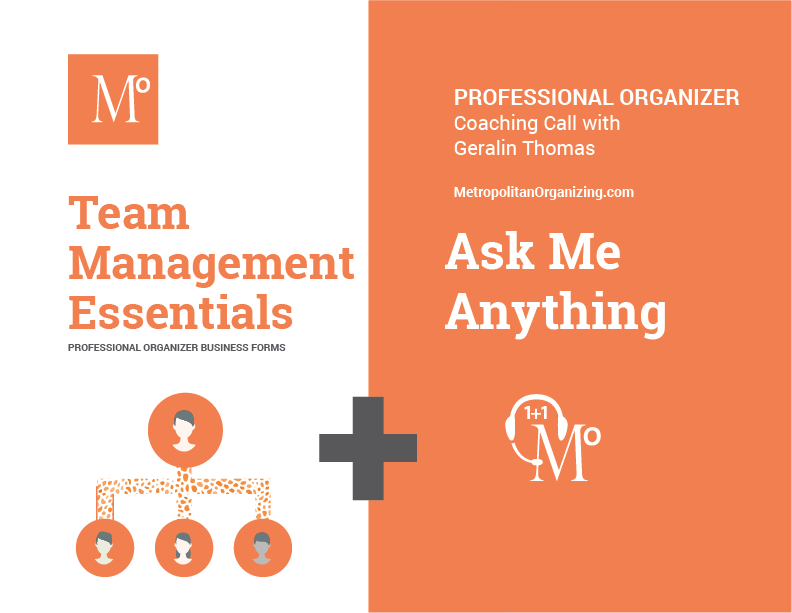 Stop turning down clients and meet the demands of your growing organizing business with the Team Management Essential business forms and checklists from an industry leader. This collection is created for you by award winning professional organizer and career coach—Geralin Thomas. It includes over 20 pages of business forms, checklist, and resources to help you assemble a team of independent contractors and grow your organizing business. Geralin was exceedingly helpful to me when I considered hiring subcontractors for large organizing and decluttering projects. I had been approached by clients who wanted help on projects larger than I could handle one-on-one, but I didn't know how to go about finding team members, charging for them or paying them. Geralin coached me through the issues of recruiting and communicating with subcontractors as well as pay structure, on-site management and many other details I hadn't even thought of. With Geralin's help, I've created a business model that's working very well for me, my clients and my team members. I regularly recommend Geralin's coaching services to other organizers — she is knowledgable, generous with information and asks the kinds of questions that help me figure out what will work best for my business. 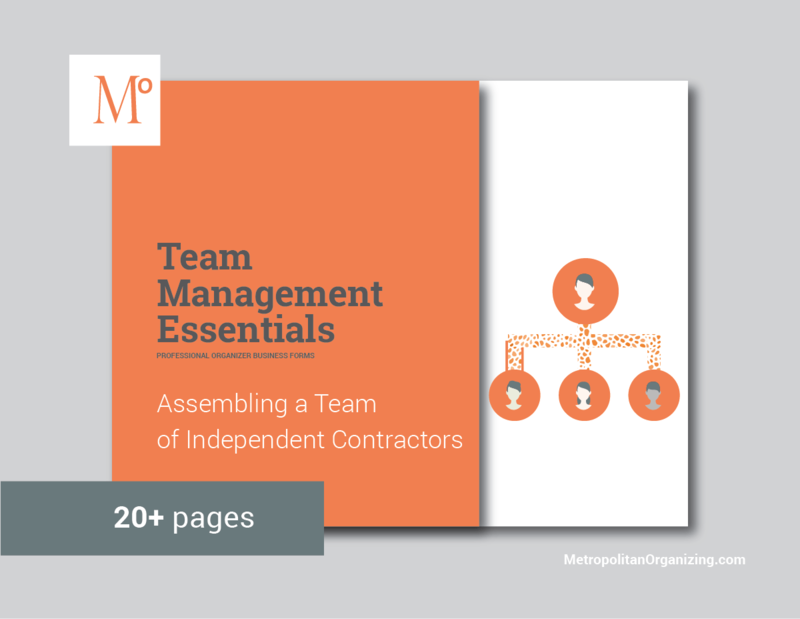 The Team Management Essentials Kit came about after numerous requests from organizing professionals around the U.S. and Canada asking for help putting together teams of independent contractors (IC). Many saw my work with large teams on A&E TV’s Emmy-nominated TV show “Hoarders” and asked how I assemble and manage a team of independent contractors (ICs). These step-by-step instructions and forms help you collaborate, communicate and manage a group of ICs. Geralin, I really appreciate your ability to jump right into the heart of my questions and help guide me as I figure out what my business is and will be. Your experience shows through so clearly in all the advice you've given me. I appreciate you helping me gain clarity about my own hopes and intentions for this venture. Great coaching! When stuck, I will be calling you for another hour!